TravStar1 Point Of Sale SystemRegister Manual Basic Register TransactionsHow Do I Charge A Transaction To A House Account If I Do Not Have Customer's Account Number? How Do I Charge A Transaction To A House Account If I Do Not Have Customer's Account Number? This lesson will teach you how to charge a transaction to a customer's house account by looking up the customer's account number. Ring the items in the customer's purchase. 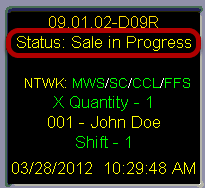 Notice that the Register Status has changed from Idle to Sale in Progress. 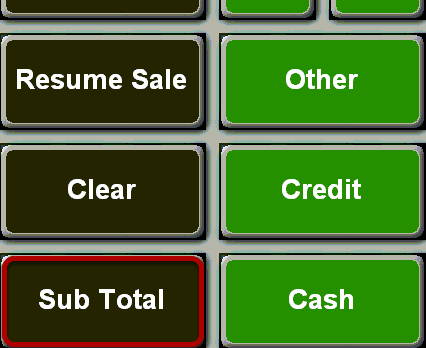 By touching the "Subtotal" button, you can see the total Amount Due. 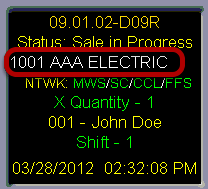 You can now tell the customer the total amount that is owed for the transaction by checking the Amount Due. Touch the "Other" button which will take you to a screen where you can choose payment types other than Cash or Credit. Type the number 0 using the number pad on the keyboard. Touch the "Select Customer" button. This will bring up a list of your store's customer accounts. 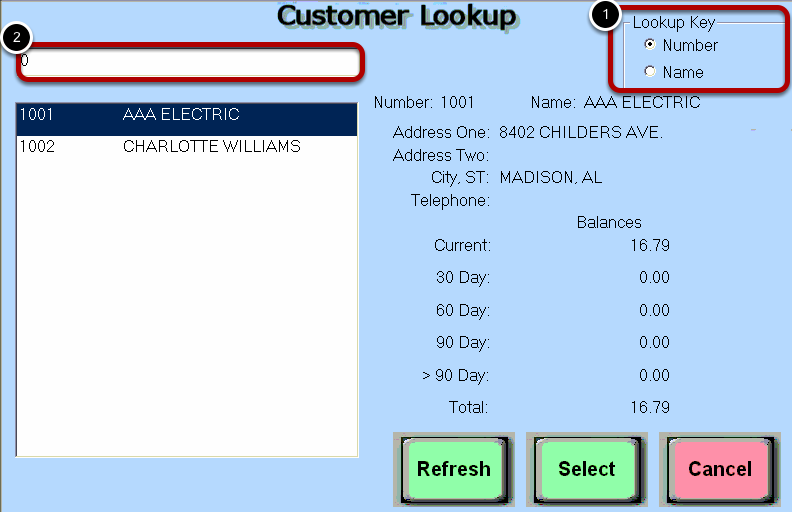 (1) If the list is blank or incomplete touch the "Refresh" button. (2) Touch the customer account to highlight it. (3) Touch the "Select" button. It is possible to search the accounts by either the account name or number. 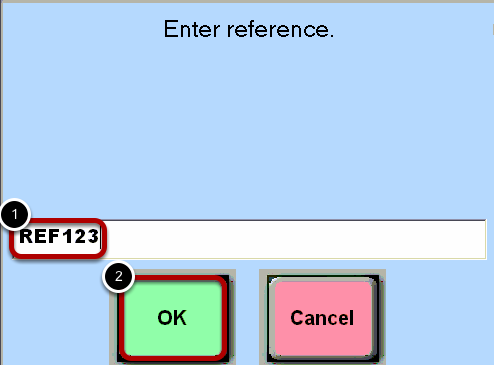 (1) Select the desired Lookup Key. 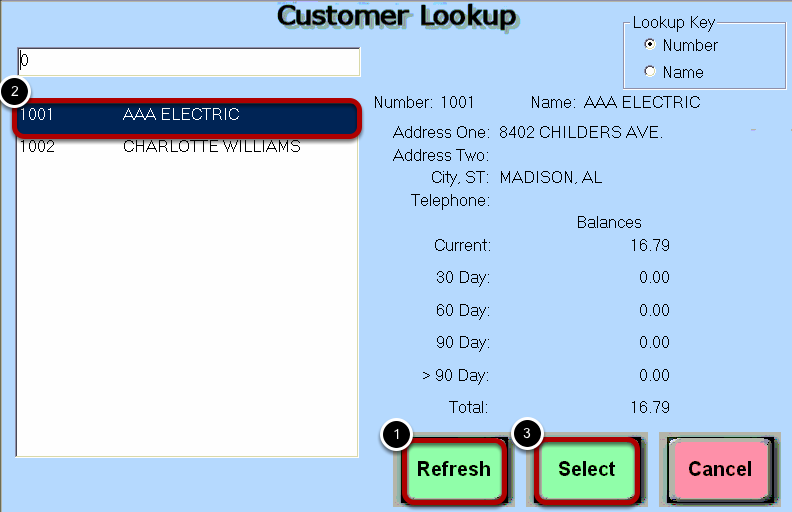 You will notice that the customer's account number and account name now appear in the top middle window on the register screen. Touch the "House Charge" button. You will be prompted to enter a reference. This reference can be made up of numbers, letters, or both. The reference is used by the store and/or the company to identify individual transactions charged to a house account. (2) Touch the "OK" button. Prev: How Do I Charge A Transaction To A House Account If I Know The Customer's Account Number? Next: How Do I Make A Payment To A House Account At The Register?